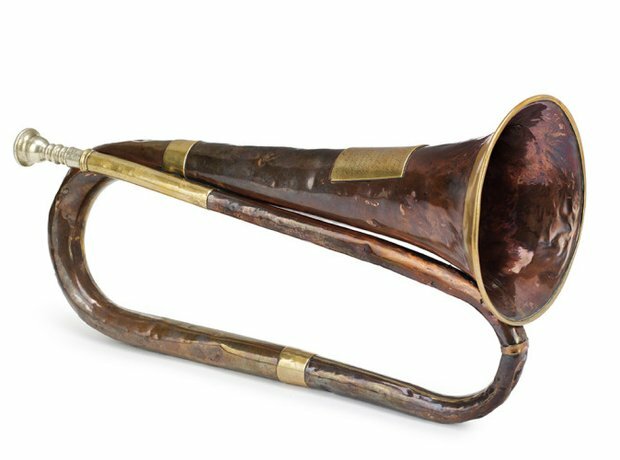 This very bugle sounded the charge of The Household Cavalry at Waterloo. It was blown by 16-year-old, 4-foot tall, John Edwards, duty trumpeter of the day. The buglers were often targetted by the enemy, keen to thwart their opponent's strategy.